Cape Town - Bidvest Wits forward Phakamani Mahlambi has arrived at Vitoria de Guimaraes to start his assessment with the Primeira Liga side. The newly-crowned Premiership Young Player of the season earned the trial with the Portuguese club after his blistering form in the second half of the season helped the Students secure their maiden league title. 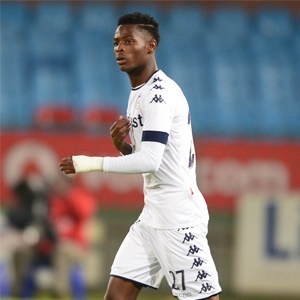 After recovering from a career-threatening injury, Mahlambi returned in the new year to record six goals and seven assists in 13 games. Now the 19-year-old has linked up with compatriots Bongani Zungu, Hashim Domingo and Cafu Phete in Guimaraes for the team's pre-season preparations. Mahlambi is aiming to reach the highest level of football in order to follow in the footsteps of Keagan Dolly - a previous winner of the award he received last term. "It is a great honour for me to be chosen as the best in South Africa," the South Africa international told IOL. "This is my first PSL award and I have no doubt it will boost my confidence going forward. It is a fantastic privilege for me. "Obviously every player wants to play overseas and I also have that ambition. I want to experience top football in the greatest leagues in the world. "My dream is to compete with the greatest players in Europe. The desire to make my mark overseas is huge.